Police are appealing for witnesses and motorists with dashcam footage to come forward after a serious two car crash in Peterborough today. The crash took place at 3.10pm on Sunday June 24 on the southbound carriageway of Nene Parkway. 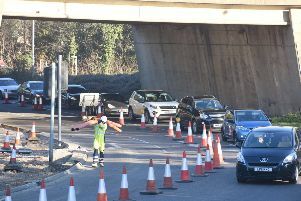 The southbound carriageway was closed from the A47 junction until around 5pm. The crash took place close to Longthorpe Parkway and police are asking any witnesses or motorists with dashcam footage to contact them on 101 quoting log 0283 of 24th June.